Special Thanks to: Claudio Tinnirello, Marco Zermeno, William Masback, Michael Schrecker, Craig Knudsen, Lorenzo Trinidad, Cynthia Alvarez, Jules, Mom and Dad, Brandon Woods, DJ E.O. Shindog of New Wave city, Tia "luna" Mignonne, Michael "Sparkle" Achach, Cameron Eng, Adrian Roberts. Performed by Some Stranger featuring Charlotte Summer. Produced by Jamie Thompson, Dave Phaneuf and Claudio Tinnirello. Remixed by Cusimo & Co.
Taken from the film Chinese Beauty. All remixes by Some Stranger. Original version available on the album “Bizarre Love Triangle”. 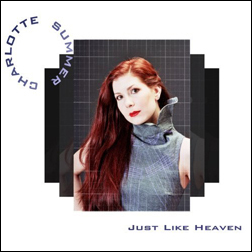 Performed by Jihnsius featuring Charlotte Summer. Produced by Sean “Jihnsius” Hollar and Claudio Tinnirello. Mixed by Sean “Jihnsius” Hollar and Some Stranger. Special version from the forthcoming game “DanceTraX”. Produced by Jamie Thompson and Claudio Tinnirello. Special Thanks to Claudio Tinnirello, Troy, Nivek Tek, Jamie Thompson, Dave Phaneuf, Sean Hollar, Austin Bradley, Dr. Janak Mehtani, The Gang, Marco Zermeno, Michael Giovanazzi, Evan Salomon, Family and Friends. Copyright © 2007 Planet XOX (BMI). All Rights Reserved.